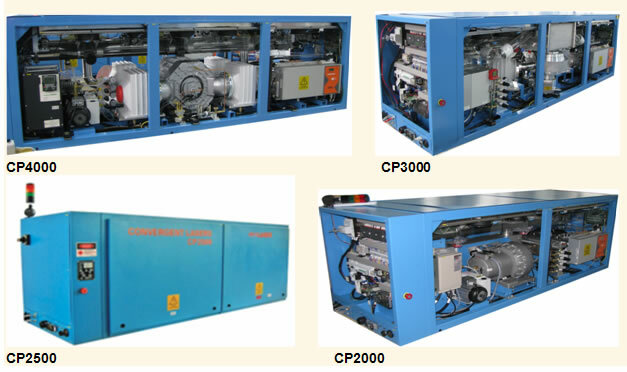 We can make the new generation of industrial DC excited fast axial flow CO2 lasers with maximum output power of 4500W. The high quality laser beam is suitable for widely material processing such as laser cutting, welding and heat treatment. Supported by the new technology of non-distortion resonator, high efficiency DSP laser power supply, non-pollution gas circulation system and PLC integrated auto-control system, our lasers have high efficiency, low gas consumption, and compact construction. The resonator has non-distortion light bridge which is made of precision machined aluminium end plate and low thermal expansion coefficient carbon fiber. This construction increases the optical stability. The high stability of the resonator can guarantee the long-term stability of the laser beam mode and laser output power. By using the suspension mounting technology to eliminate the impact on resonator from the vibration, the excellent beam quality and pointing stability can be obtained. By using the carbon fiber light bridge, the resonator deformation caused by temperature changing can be eliminated. The uniform flow field and turbulent flow formation technology provide the stability of the discharge. Non-sputter electrode and the gas reduction technology can reduce the gas deterioration. All-glass structure ensures the stability and safety in humid climates and area. Equipped with the imported oil-free turbine which is especially supplied for laser, the laser has stable gas composition and output laser power. By using magnetic levitation turbine, CQ series laser can be 20,000 hours maintenance free. The efficient solid-state DC excitation laser power supply can provide peak pulse power up to 2.5 to 3 times of the rated power. Under comprehensive monitoring of the discharge current and voltage, the power supply provides high reliability with the over-current, over-voltage and temperature protection and warning notice. 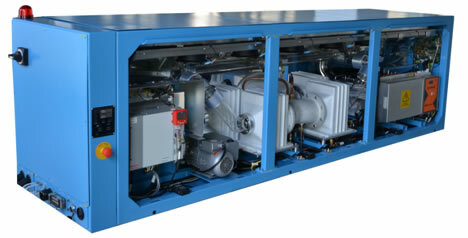 The laser is controlled by powerful, modular, compact PLC module. The laser can be controlled by external CNC system and other remote controller. The laser has PLC based built-in comprehensive diagnostic system. Our lasers have the multifunction which can output stable CW and pulse laser beam. It is suitable for cutting different thickness plate at good cutting quality. Experiments show that these lasers are particularly suitable for the cutting of tough stainless steel and thick carbon steel plate. Our lasers have high reliability and stable laser parameters for long time operation and low operation cost, convenient operation and safety. When the CNC control is equipped with the Windows computer system, the laser can be monitored by the powerful control software which is provided with the laser. The independently developed CNC control module can connect the processing system and the laser perfectly. It is not necessary to provide a monitor alone with the laser. With the property of easy and smooth communication between the laser and cutting system, fewer failure points, more stable and reliable operation, it is the warranty for the customer’s profit. The laser gas consumption can intelligently be adjusted between 20 l/h to 70 l/h, according to laser output power. That will significantly save the gas. The laser can provide higher processing speed during the plate cutting and welding, especially for thick plate processing. 4000W laser can cut 25mm thick carbon steel, 12mm thick aluminium, 15mm thick stainless steel and 30mm thick wooden board. It is suitable for processing metal or nonmetal materials. recommended in 20oC dry and thermostatic room.